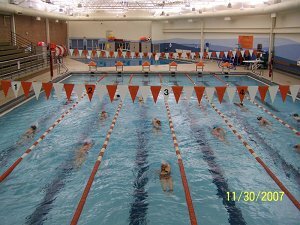 Began coaching the high school swim team in 2003-2004. Began teaching at Northeastern in 2005-2006 at Mt. Wolf Elementary and then moved to the middle school in 2006-2007. After the new middle school was built I became part of the high school Physical Education Department in 2009-2010.